Southern charm abounds in this builder’s personal home. Bright, open floor plan with all the bells and whistles in Providence High zone will not last long! Master on the main level with generously sized secondary bedrooms upstairs, an enormous bonus room, office or exercise room and computer niche, also located on the second level. Chef’s kitchen features a large eat-in breakfast room and adjoining family room that overlook a beautifully landscaped backyard. Full brick with stone and Hardi accents in this convenient courtyard-style plan. The South Charlotte location is primo—only minutes away from Charlotte’s finest shopping, excellent schools and Uptown! 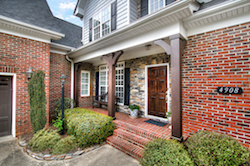 South Charlotte is one of the fastest-growing communities in Mecklenburg County and is host to some of the most beautiful neighborhoods in the city. The area boasts excellent schools, many of which are top, nationally-ranked schools. Enjoy many of the benefits of small town living with an economically-thriving and culturally-rich flare. 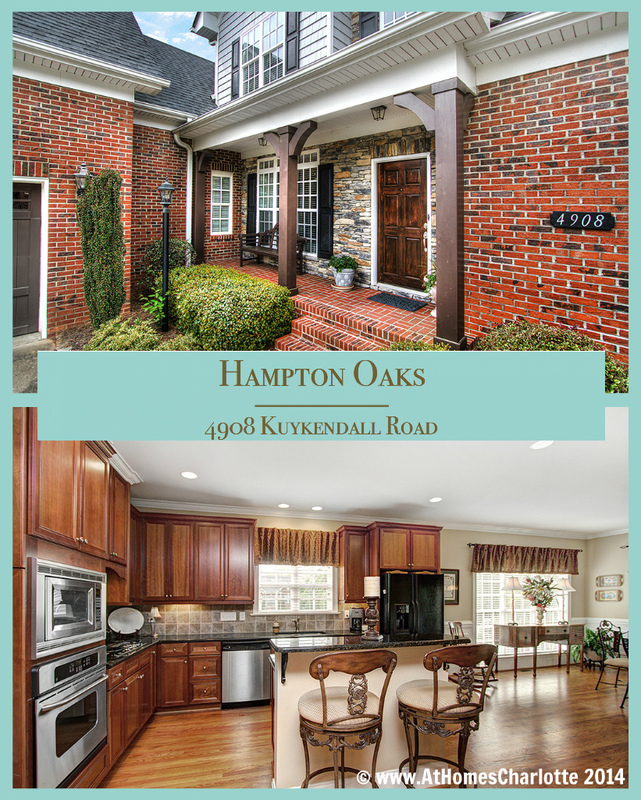 Hampton Oaks is in close proximity to all that South Charlotte has to offer, is near major roads, convenient to I-485, I-77, I-85 and I-277, Charlotte Douglas Airport, sporting arenas and both Lake Norman and Lake Wylie. When you’re visiting Hampton Oaks, check out the abundance of shopping, dining, recreation and educational opportunities in the area including the Arboretum, Promenade on Providence, SouthPark Mall, Stonecrest, Ballantyne and Blakeney.